With its red brick exterior and sandstone trim, the 112-year-old structure near the Stampede Grounds is one of the few remaining examples of the city's London-inspired housing from the Victorian and Edwardian eras. At the turn of the 20th century, Calgary was facing a bit of a housing crunch. One solution was to adopt low-maintenance, brick row-housing, like the kind popularized in London during the Edwardian and Victorian eras. 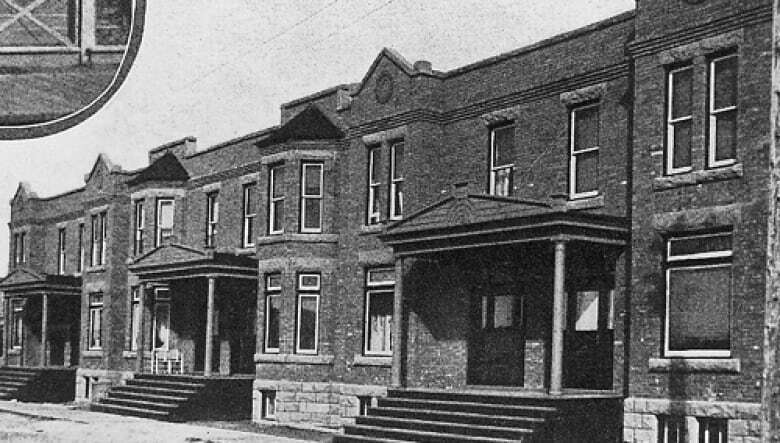 Construction of these terraced homes boomed in Calgary during the late 1800s and early 1900s, but few of those homes remain standing today. One exception is the Fairey Terrace, completed in 1906 by Frank Fairey, a prominent Calgary developer at the time. Now, the city will decide whether the site should be preserved in perpetuity under a municipal historic designation. Located near the Stampede Grounds at 1111 Third St. S.E., the red brick exteriors of Fairey Terrace are recessed from the street, with seven concrete steps from the sidewalk to the front door. In the early days, the 12 apartments there were home to Calgary's upper middle class: skilled workers and white-collar professionals. But by the time Michael Giammarco bought the development in the 1980s, that area of Victoria Park had become "the Wild West," he told the Calgary Eyeopener. The area had depreciated in the 1960s, with talk of a Stampede Park expansion. By the '80s, that particular corner of Victoria Park had become a hotbed of drug activity and crime, Giammarco said. But the parapet-walled, two-storey development remained a well-crafted example of the Classical Revival style of architecture. In 1986, Giammarco went to Edmonton and successfully procured a Provincial Historic Resource designation for the site. "Anything of historic value should be saved," Giammarco asserted. He has applied to the city for a municipal historic designation, which would prevent the building from being demolished. It would also require special approval from the city for alterations to the building's historic elements, and it would make the property eligible to apply for city grants for repair and restoration purposes.